Raúl Esparza headlines this inspired new musical, featuring a score by Glenn Slater and Alan Menken. What Is the Story of Leap of Faith? Leap of Faith centers upon full-time con artist and part-time reverend Jonas Nightingale as his traveling ministry breaks down in a small Kansas town. Jonas, an electrifying performer and rabble-rouser, quickly pitches a tent and invites the locals to a revival where he’ll perform miracles…for a price. Before he can take the whole town for a ride and empty their pockets, he’ll have to get past town sheriff Marla Humes. The single mother is determined to stop the hustler in his tracks before he can separate the townspeople from their money, but a real miracle is in the offing: Marla just might give Jonas something to believe in. Raul Esparza is the guy you want in your show when your leading character is having a crisis of faith. There is a delicious cynicism to all Esparza does here, whether it's taking care of his partner in crime, his little sister or wooing the wounded-but-beautiful town sheriff. 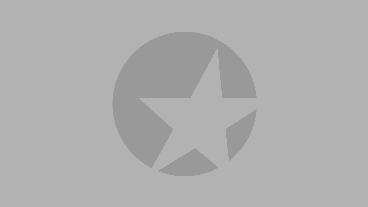 If you're looking for pure Broadway razzmatazz, 'Leap of Faith' delivers the goods. Robin Wagner's set turns the interior of the St. James Theatre into a revival tent, and Christopher Ashley and Sergio Trujillo, the director and choreographer, put every square inch of it to effective use. The chorus rocks and rolls. What Is Leap of Faith Like? Based on the 1992 movie of the same name, Leap of Faith instantly makes the crowd feel like part of the show. From the moment the curtain goes up, Raúl Esparza (as the swindler Jonas) welcomes the crowd to his revival meeting, asking them to have a little faith. Some theatergoers are greeted with fake money on their seats that they will later “donate” when baskets are passed around. 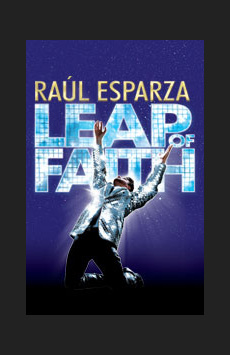 At its core, Leap of Faith is a roof-raising Gospel-tinged musical, driven by the score of eight-time Oscar-winning composer Alan Menken, spirited dance numbers choreographed by Sergio Trujillo and a charismatic performance by four-time Tony nominee Esparza. Is Leap of Faith Good for Kids? While the story line does question allude to questions of faith and religion and features a PG-13 love scene, adults should rest assured that the show will provide a fun-filled night at the theater for all. Filled with joy, romance and heart-pounding thrills, Leap of Faith will give everyone a reason to believe in the power of a glitzy musical on Broadway.